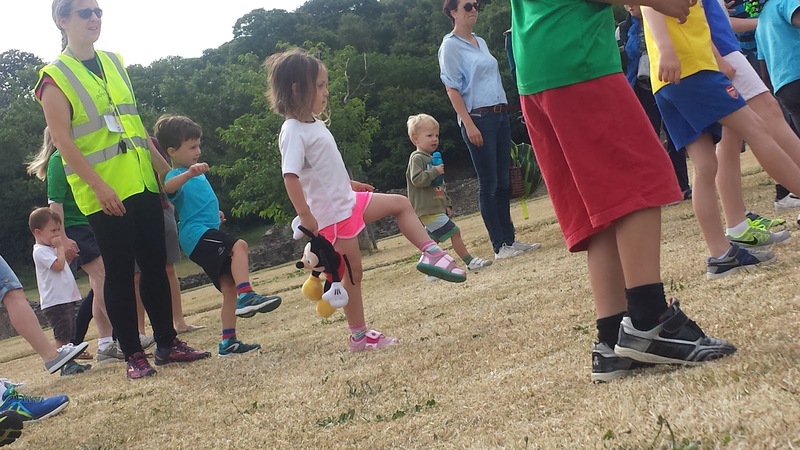 On Sunday 28 June 2015, we went to the playground at Lesnes Abbey Abbey Abbey Woods. It's a pretty decent playground with lots of different apparatus for different age ranges plus areas for parkour, basketball and football. There's also a nice open space with stones and picnic tables. You could quite happily set up camp here and hang out for a few hours on a summer's afternoon. Also brilliant for hanging out post-parkrun. 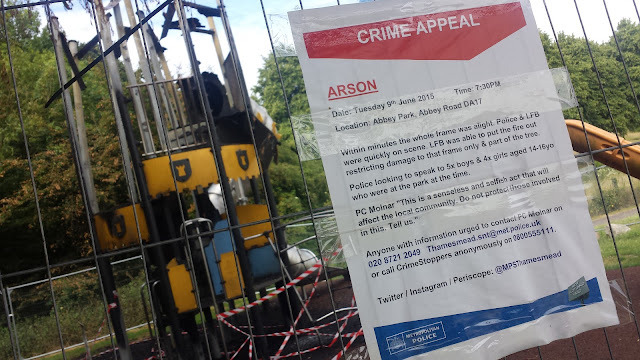 However, a few weeks back one of the apparatus was effectively destroyed in an act of arson. It is fenced off and has signs appealing for any information related to the crime. I hope they catch those responsible and I hope it can be replaced. 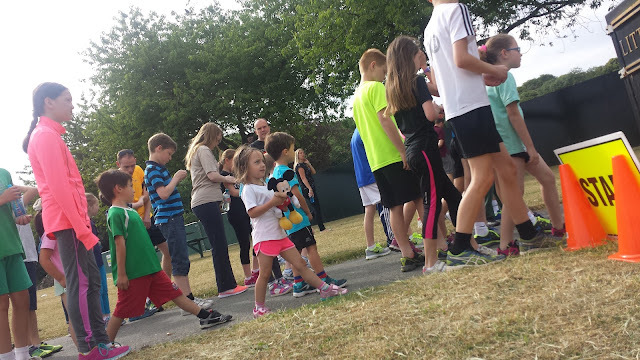 Earlier that morning, Matilda had taken part in Lesnes Abbey Abbey Abbey Woods junior parkrun for the fourth time. 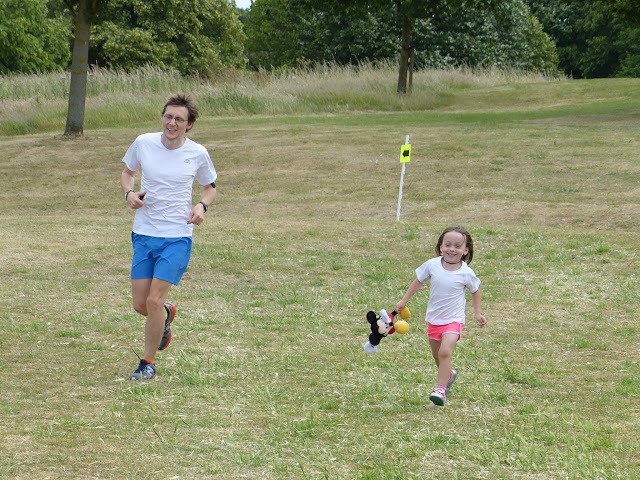 It was another one of those non-speedy walk/runs and although she had an enthusiastic start, the act of running three laps again proved to be mentally tough for her. Fortunately the tail runner, Jane, was on hand to provide some much needed encouragement when we had exhausted our usual selection of games which this week included 'jumping over things', 'let's chase Dadda' and 'bumping into stuff'.